In the mid-1970s, as I was about to leave for my first foreign mission with the Soviet military assistance group in Iraq, a senior briefer at the communist party's central committee told me: "And mind you, young man, the Soviet Union does not sell arms abroad; it gives them to those with whom we share a common cause." At the time, I thought it was a standard propaganda line, but, with rather few exceptions of paying clients, such as India, Iraq and Libya, this was actually true. When the Soviet Union unraveled 15 years later, the dozens of billions of dollars that countries from Afghanistan to Zambia owed Moscow for arms deliveries had to be written off. For post-Soviet Russia, the arms trade became a major source of revenue for the defense industry, which for two decades virtually stopped producing for the domestic market. It is only from 2011 that the Russian government embarked on a massive $700-billion rearmament effort to upgrade its conventional forces. Russian leader Vladimir Putin was definitely pleased in December as it turned out that Russia was second only to the US in terms of arms revenues: $14 billion in 2012, with about $40 billion more in potential contracts. Selling arms, of course, is very different from selling any other goods. Commercial considerations are not the only ones which need to be factored in. Even though ideology is out, geopolitics remains. Two out of three top current buyers of Russian arms are in Asia: India and Vietnam. Both countries have been Moscow's arms clients of long standing. They started buying Soviet weaponry in the heyday of the Cold War, and were both de facto Soviet allies in the global Great Game between Moscow and Washington. That Great Game is long over. Do Russian current arms sales to Delhi and Hanoi mean that Moscow is engaged in some new geopolitical gaming, this time in Asia? India and Vietnam have vastly improved their relations with China since the 1960s and the 1970s, when both were engaged in border conflicts with Beijing. There is a palpable fear of China in Delhi, and an air of defiance of China in Hanoi. Is Russia's arming of China's "difficult neighbors" its version of a "hedging" policy toward Beijing? There is little doubt that some Asian Russia-watchers see it that way. The reality is different. Present-day Russia values its relations with China greatly. Moscow and Beijing have managed to build a relationship of the kind they have never had before: peaceful, productive and, above all, pragmatic. There is every reason to believe that Moscow will not consciously act to damage that relationship. The relationship with Russia serves China's interests as well. No longer having to think about a "threat from the north" is certainly big deal for Beijing. 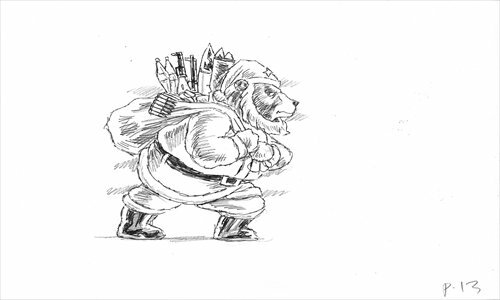 Policymakers realize that a souring of Sino-Russian relations would be a strategic nightmare for both countries. Moscow has no interest in rising tensions between Beijing, on the one hand, and Delhi and Hanoi, on the other: just the contrary. A decade and a half ago, then Russian prime minister Evgeny Primakov talked about a China-India-Russia triangle. Russia promotes India's accession to the functioning regional grouping it has built with China: the Shanghai Cooperation Organization. In a nutshell, Moscow wishes that the great powers of Asia work closely with Russia to safeguard the regional order and "rebalance" the global one. With Vietnam, Moscow deals both bilaterally and within the Moscow-ASEAN framework. Recently, the Russians have been paying more attention to the Southeast Asian nations, from Myanmar to Singapore, looking for business opportunities. Vietnam, of course, stands out as a place where Moscow has a precious legacy of Soviet-era cooperation to build upon. Still, Moscow has been very careful in stating its position and in its practical steps on issues such as the South China Sea. China and Russia have built an impressive common ground of cooperation. Occasionally, they would take different views on some things, or even compete. This is normal for mature relations between two great powers, which are independent by definition. The important thing is that Moscow and Beijing have learned to appreciate their new coequal relationship. As to the arms trade, China for many years was Russia's principal partner. A few days after Putin left Delhi in December, the Russian arms export agency signed a framework agreement with China for co-production of fourth-generation submarines. Unlike 40 years ago, Moscow's arms trade is business, after all.